We know that developers have a wide range of preferences for their development tools, from simple text editors to full IDEs, and one size does not fit all. We think that all developers should have a productive and fun time working with Dart, so today we’re happy to announce an update to our Dart plugin for Sublime Text 2. The updated plugin supports syntax highlighting for modern Dart code, and includes several common Dart snippets to help you code faster. We also built dart2js into Sublime’s build system so it’s just a single keyboard shortcut away. Finally, the plugin automatically runs Pub whenever you create or update your pubspec files, so you can install and update your dependencies without ever leaving Sublime. If you’re looking for a more featured editor, you can try out our Dart Editor, the Dart plugin for Eclipse, or the Dart plugin for IntelliJ / Webstorm. 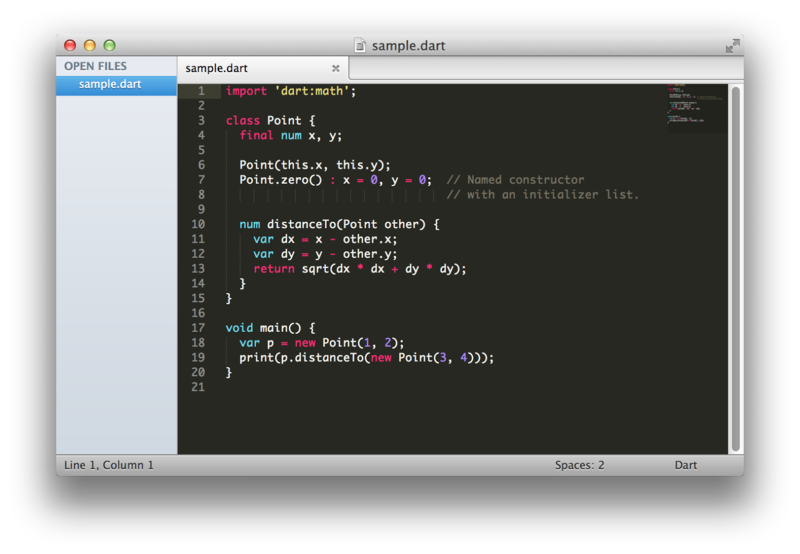 The Dart plugin for Sublime Text 2 is open source on GitHub, and we’d love to accept contributions. Install the plugin today, and if you have any questions, you can find us on our mailing list and Stack Overflow. Let us know what you think!